We have blogged in the past that we have switched our documentation to a static site, utilizing Jekyll on the Netlify platform. The build process starts automatically whenever we push changes to our repository. Because of the size of our documentation in terms of files as well as content, the documentation site builds in around 15 minutes, while a full rebuild is created in around 60 minutes. We always wanted to get notifications in our Discord server as to whether our build failed or not. Of course we can check the Netlify app section but that requires us to log into the web interface and check things there. Having notifications in Discord is something that was really missing from our workflow. 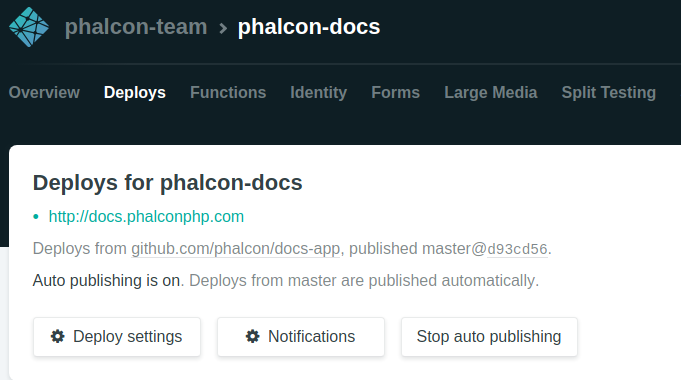 Netlify offers notifications tied to specific hooks, such as deploy started, deploy ended, successful deploy etc. There is no Discord integration available but there is a Slack one, so we used those to notify our Discord server. Go to your Discord server and click the gear icon next to the channel you wish to receive notifications. Click Webhooks and add a new one, modifying the name to whatever you want. You can also change the channel for the hook. 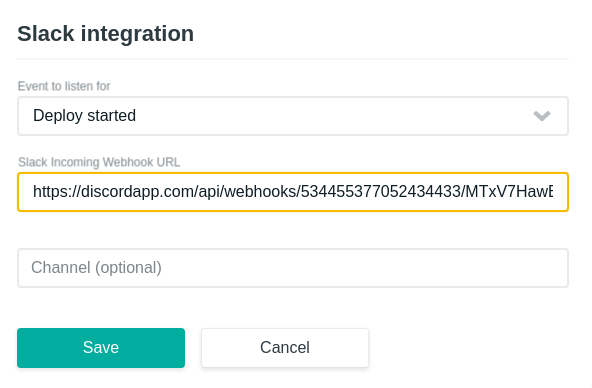 Once you created the webhook, copy its URL. Go to your application in Netlify and click the Deploy link. Click the Notifications button. Click the Add Notification button and click Slack Integration from the dropdown. A popup window will appear. You can then choose the hook you want (deploy started, deploy successful, deploy failed etc.). 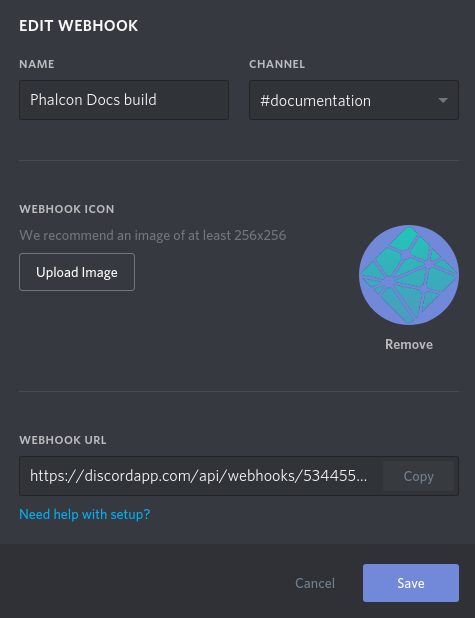 You will need then to paste the webhook URL (that you copied from Discord) in the Slack Incoming Webhook URL field, suffixed with /slack. That’s it. After that, any successful build will show a message similar to the one below in your Discord channel. If you wish to see the integration in action, you can stop by our Discord server and say hi!